maybe it is his name? like charles the great who hoarded a lot of countries? You are so smart. That must be it. 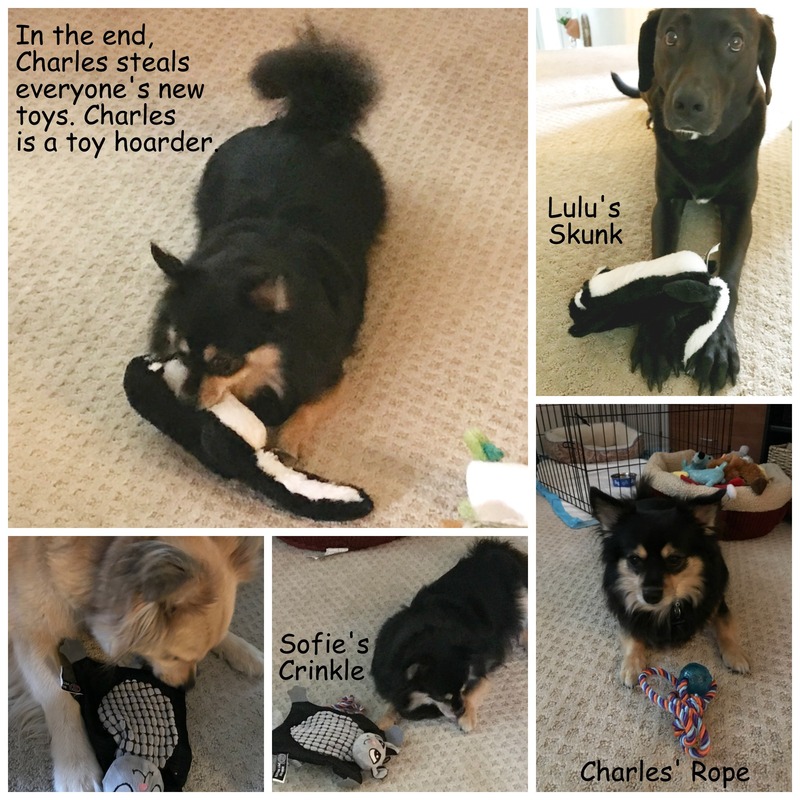 Looks like they all love their new toys – when Charles lets them play with them. Too funny! Sharing is caring as long as they share everything with me!!! You got that right! Humans are silly. In my house the bird steals the cat toys. She won’t let the cat have them but will throw them at me. Midnight my Tuxedo Pocket Pit Bull has recently started stashing toys in her crate. I went to change out her bed and wipe down and discovered she has been stashing toys , bones, and my socks. She even weaved them in hiding in her blanket. This is a new thing for her. I love that the bird is boss.